Unit 6C at the Gatsby Condominium is a fully renovated two-bedroom residence. The open floor plan and modern finishes make this pre-war unit a unique New York City home. Custom amenities include St. Martin Cabinets, Caesarstone countertops, Bertazzoni range, Fisher & Paykel refrigerator, Electrolux washer and dryer, and a 12 bottle Summit wine fridge. Northern exposure illuminates each room of this 1,300 square foot apartment, while custom stained white oak floors flow throughout. Two fully custom bathrooms are finished with an abundance of storage, Italian porcelain and glass tile, Caeserstone tub surround and a beautiful walk in shower. PTAC cooling + heating units will also be installed in each room. There is an assessment of $229.44 p/mo covering the elevator remodeling. Built in 1924 and converted in 1999 The Gatsby located at 65 East 96th Street is a full service 17-story condominium. Amenities include live-in super, 24-hour doorman, fitness center, laundry room, bike room, and large storage bins. 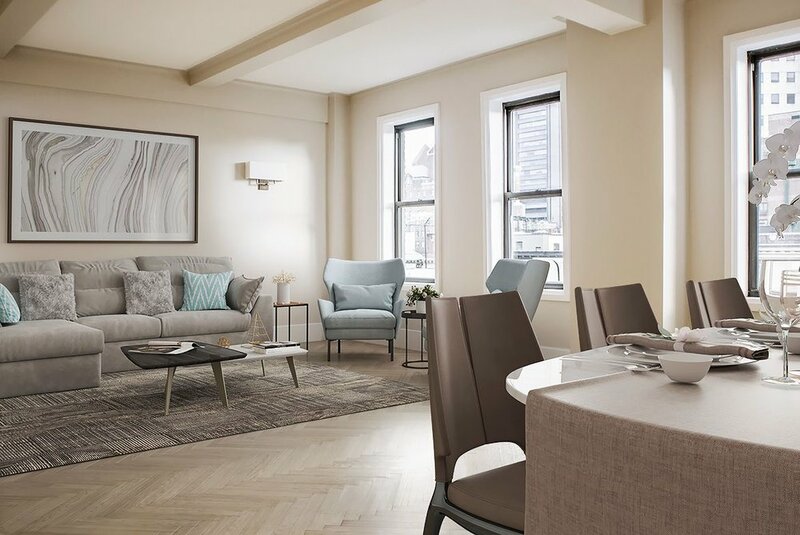 Only mere steps from Central Park and nestled between Madison and Park Avenue. The Gatsby's location offers Manhattan’s best shopping, coveted private schools, Museum Mile, and Michelin Star rated restaurants. The best of Manhattan is at your fingertips.